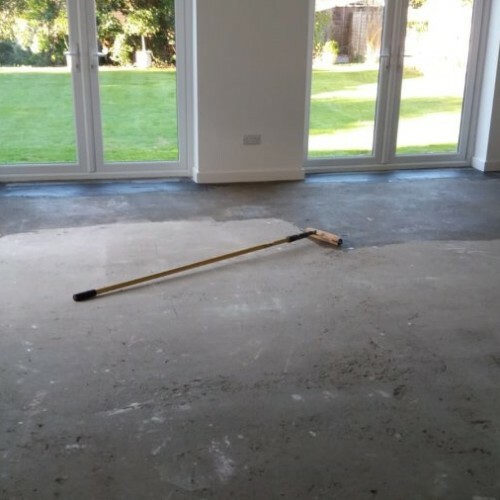 We mechanically ground the Anhydrite surface, applied two coats of Balls P121 primer and 5mm of Balls 300 Self-levelling screed. 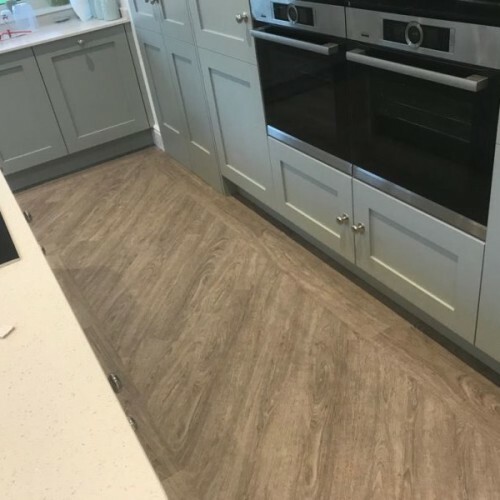 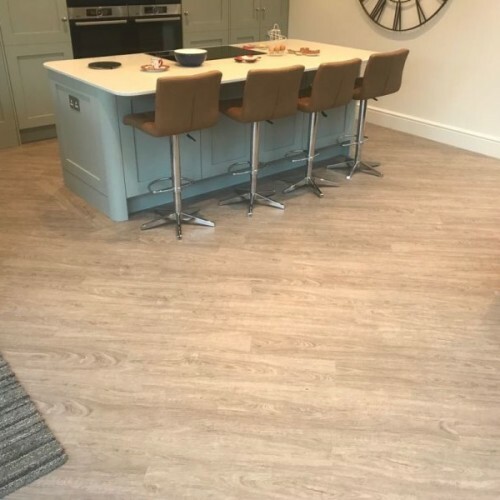 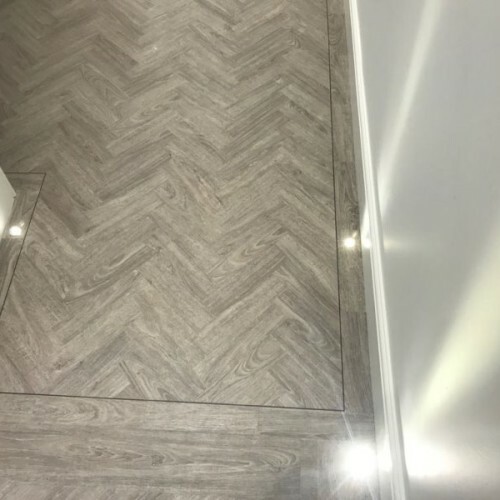 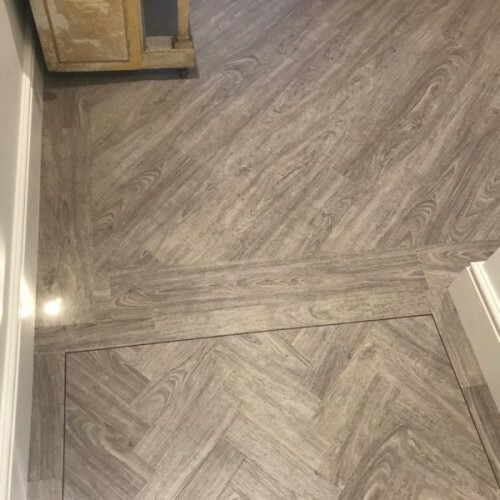 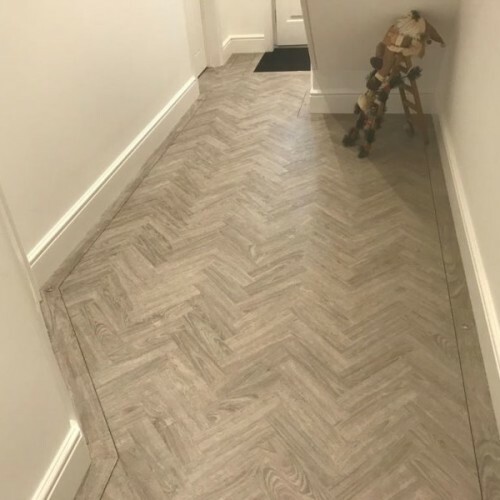 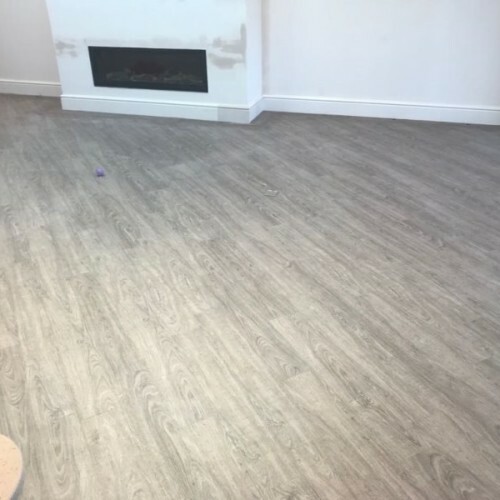 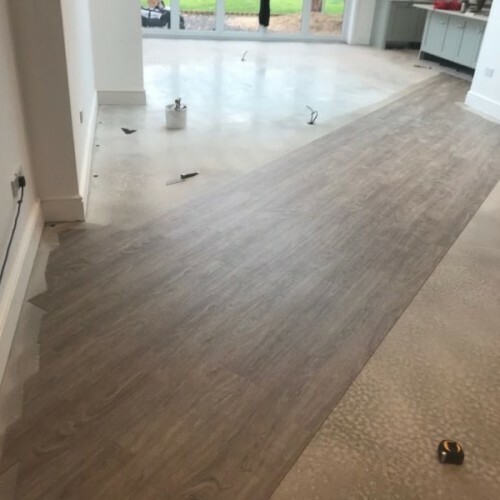 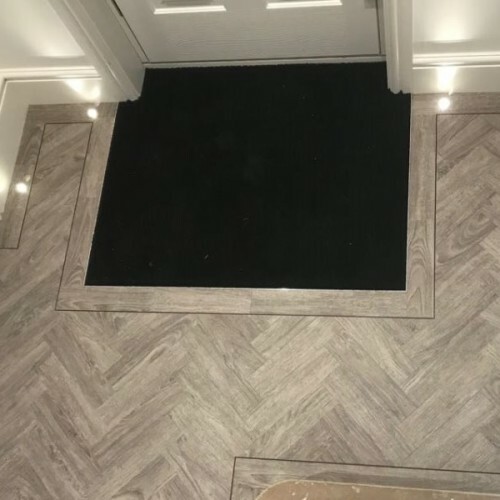 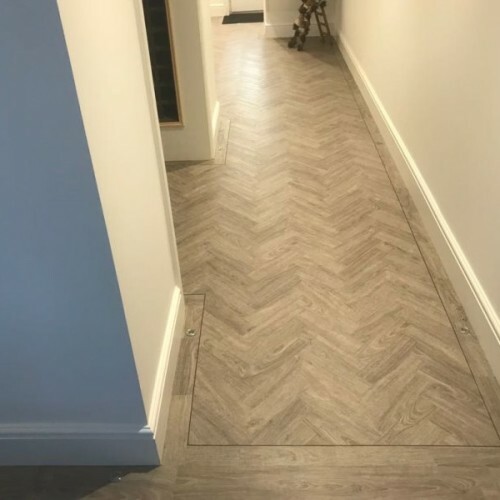 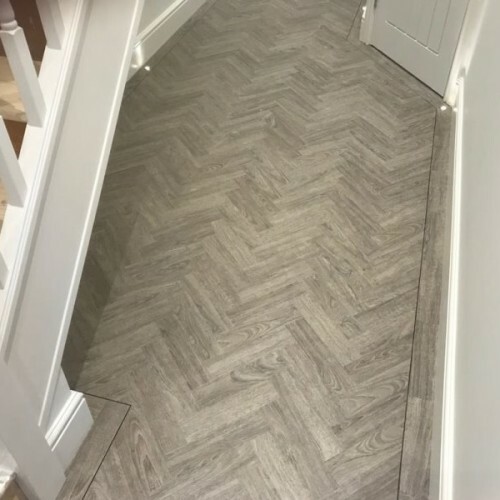 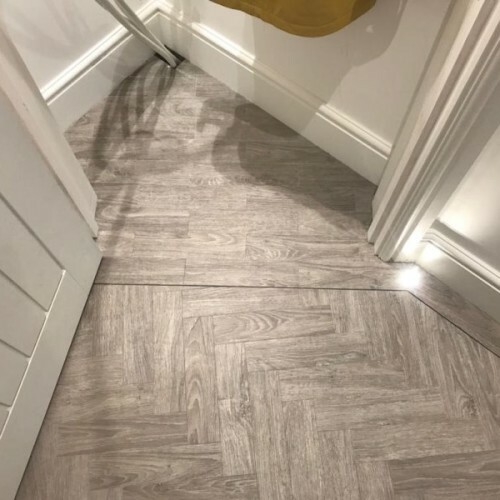 The Lavanto LVT’s were installed in traditional herringbone design to the Entrance Hall, and diagonally with a border to the family/kitchen area. 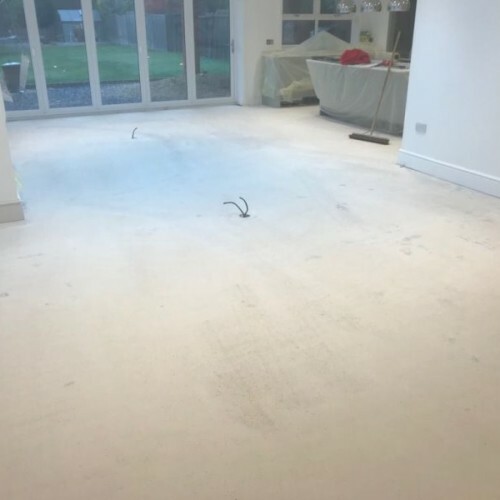 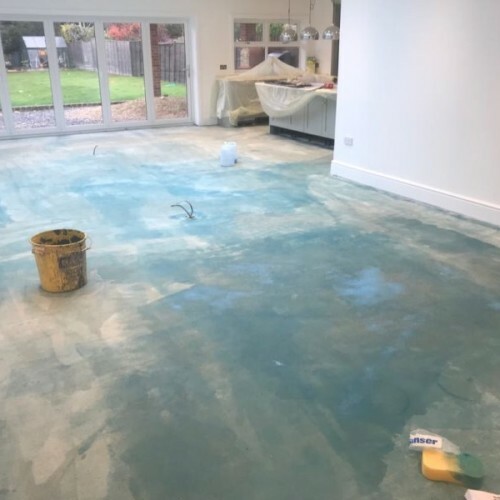 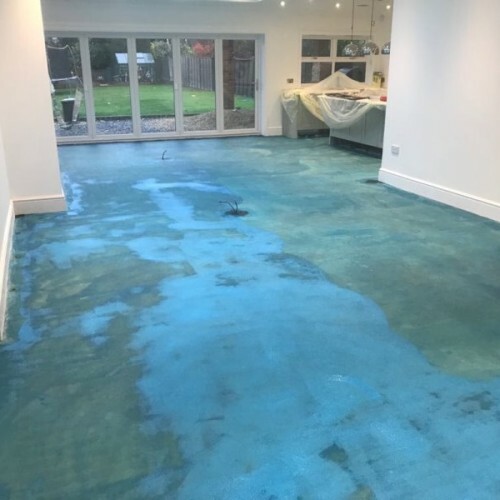 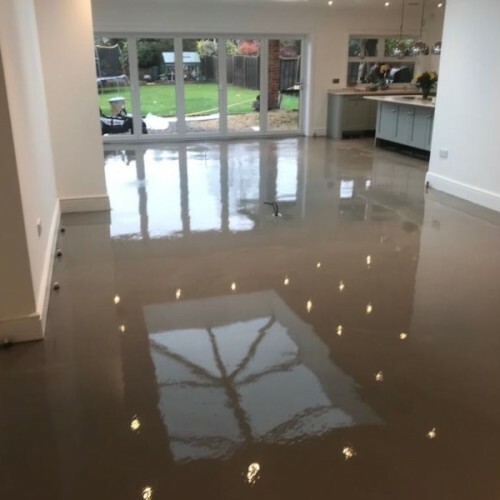 This project took 6 months for the Gypsum based screed to dry, and two weeks to complete the flooring process.